Klima, R, Bloembergen, D, Kaisers, M, & Tuyls, K. (2018). 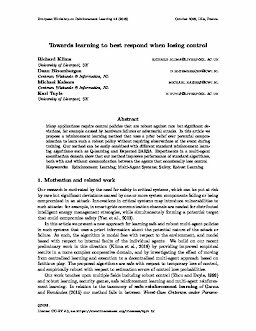 Towards learning to best respond when losing control. In Proceedings of 14th European Workshop on Reinforcement Learning (EWRL), 2018.